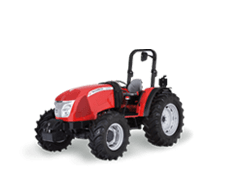 The X4V is McCormick’s new specialty vineyard tractor. 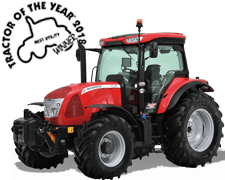 All five models in the range are powered by the new Deutz TCD L4 2.9L, 4-cylinder engines that cover maximum power outputs from 70 to 102 hp at 2200 rpm. 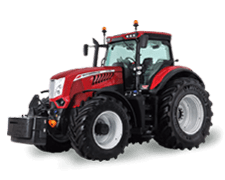 All engines meet Tier4 Interim emissions standards and are equipped with exhaust gas recirculation system (EGR), diesel oxidation catalyst (DOC) and Engine Memo Switch to store engine rpm. 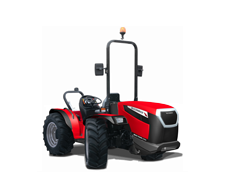 These tractors feature a 80L fuel tank for extended run-times without refuelling. 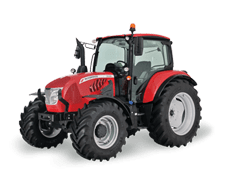 The transmission of the X4V, developed by Argo Tractors, offers four speeds and three ranges and features a synchro or power shuttle. Optionally, it can be fitted with either a Power Four Hi-Lo splitter or an Xtrashift three-stage powershift (HML). A creep speed unit is also available as an option. 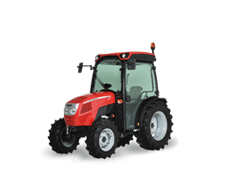 The X4FV tractors come in both two- and four-wheel drive versions and offer a choice of mechanically- or hydraulically-operated PTOs with either two or four speeds (540, 540Eco, 1000 and 1000Eco). A major strong point of the X4V range is its highly-versatile hydraulic system that can be supplied in two configurations: with dual pump providing a flow rate of 28+50 l/min or with triple pump providing 28+41+41 l/min, The system can be equipped with up to three mechanical remote valves and/or up to seven electrohydraulic remote valves and provides a maximum lift capacity of 2700 kg. 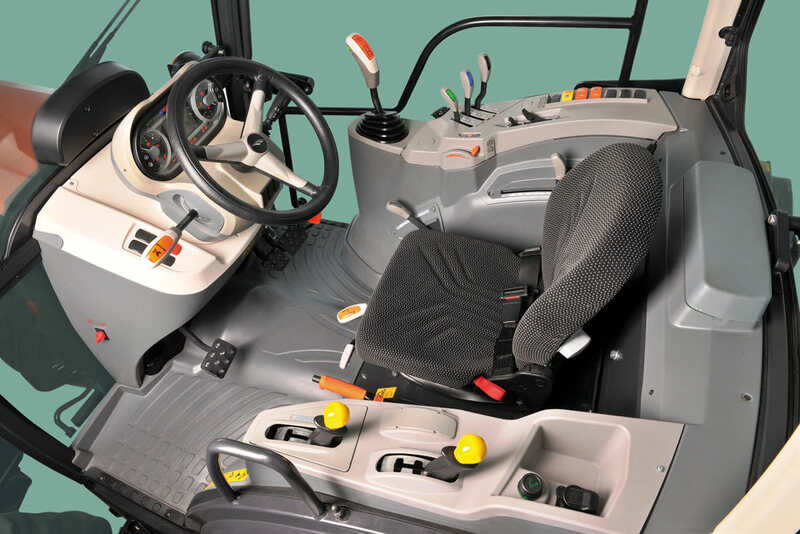 Mid-mount remotes, a selector valve and a flow divider are also available as extra features. 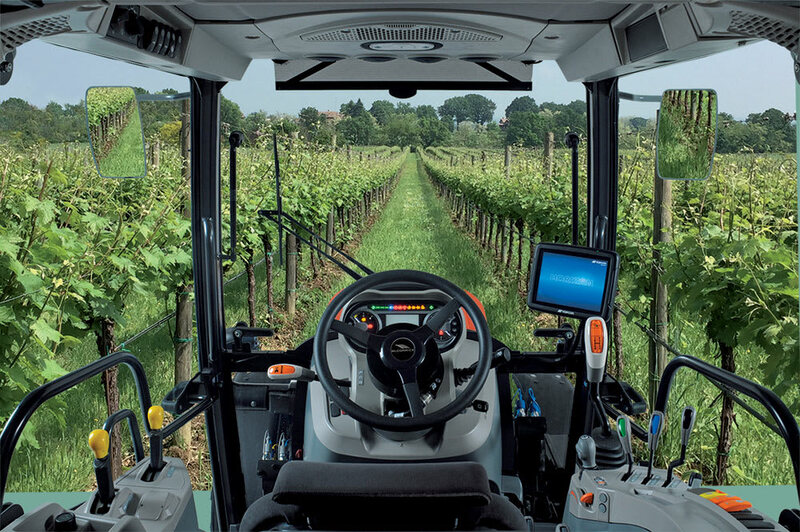 The X4V has a modern dynamic look: the new cab offers enhanced ergonomics, an optimized driving position, a flat central tunnel, high-grade fit and finish and excellent forward visibility for easier use of front-mounted implements (e.g. vine trimmers). A Category 4 protection is available as an option to create a pressurized controlled environment for maximum operator safety during pesticide spraying. 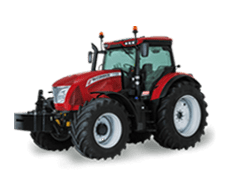 The new McCormick X4V offers a compact design and a 55-degree steering angle and retains all the manoeuvrability of its predecessor. 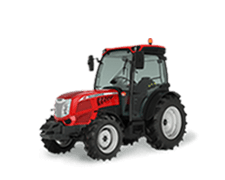 All five models in the range are powered by the new Deutz TCD L4 2.9L, 4-cylinder engines that cover maximum power outputs from 70 to 102 hp at 2200 rpm. 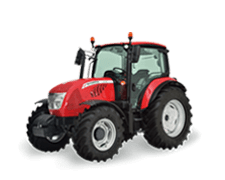 All engines meet Tier4 Interim emissions standards and are equipped with exhaust gas recirculation system (EGR), diesel oxidation catalyst (DOC) and Engine Memo Switch to store engine rpm. 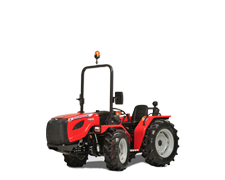 These tractors feature a 80L fuel tank for extended run-times without refuelling. 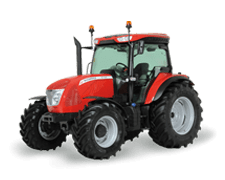 The transmission of the X4V, developed by Argo Tractors, offers four speeds and three ranges and features a synchro or power shuttle. 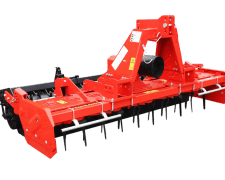 Optionally, it can be fitted with either a Power Four Hi-Lo splitter or an Xtrashift three-stage powershift (HML). A creep speed unit is also available as an option. 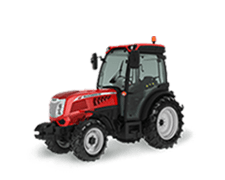 The X4V has a modern dynamic look: the new cab offers enhanced ergonomics, an optimized driving position, a flat central tunnel, high-grade fit and finish and excellent forward visibility for easier use of front-mounted implements (e.g. vine trimmers). A Category 4 protection is available as an option to create a pressurized controlled environment for maximum operator safety during pesticide spraying. 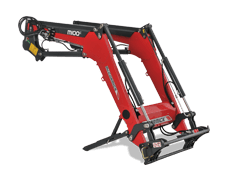 A major strong point of the X4V range is its highly-versatile hydraulic system that can be supplied in two configurations: with dual pump providing a flow rate of 28+50 l/min or with triple pump providing 28+41+41 l/min, The system can be equipped with up to three mechanical remote valves and/or up to seven electrohydraulic remote valves and provides a maximum lift capacity of 2700 kg.